*Poesy being a little ray of sunshine. *Hope looking like a little teenager. 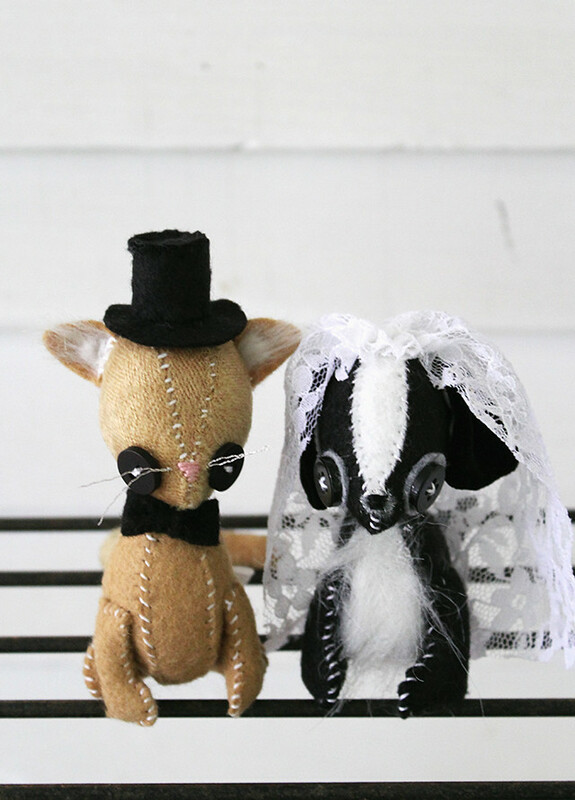 *Some custom cake toppers I had the pleasure of making. I'm not doing many custom orders right now, but it was nice to get back to it last month. 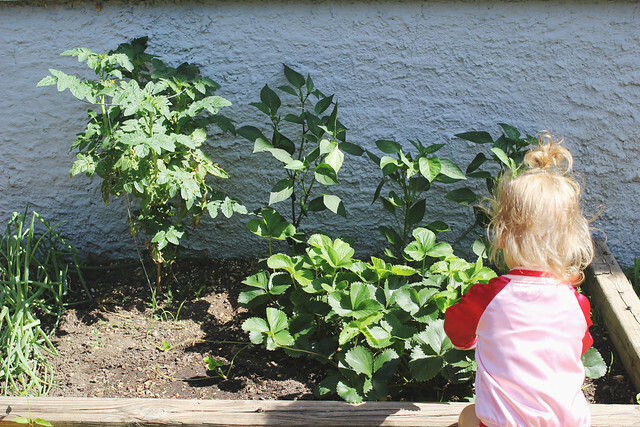 *My little garden helper looking for strawberries. *A dreamy dress by 23 Skidoo coming to Emerging Thoughts this weekend. *The newest addition to our family. This kitty showed up on our porch and has not left for over a week. I think it's safe to say we were adopted. The girls named him Google because he has googly eyes. ;) Such a gentle, sweet cat. Our family has had a stomach bug for the past two days, so we're all doing our best to get back to 100%. It's crazy how fast something like that can knock you down! What a beautiful cat! I hope you all are feeling better. Those pictures of Hope and Poe are too cute. Hope totally looks like a little teenager. Ha! Google has such pretty eyes! you inspire me to take more photos! i love the photo of hope. and google is adorable! love that name. 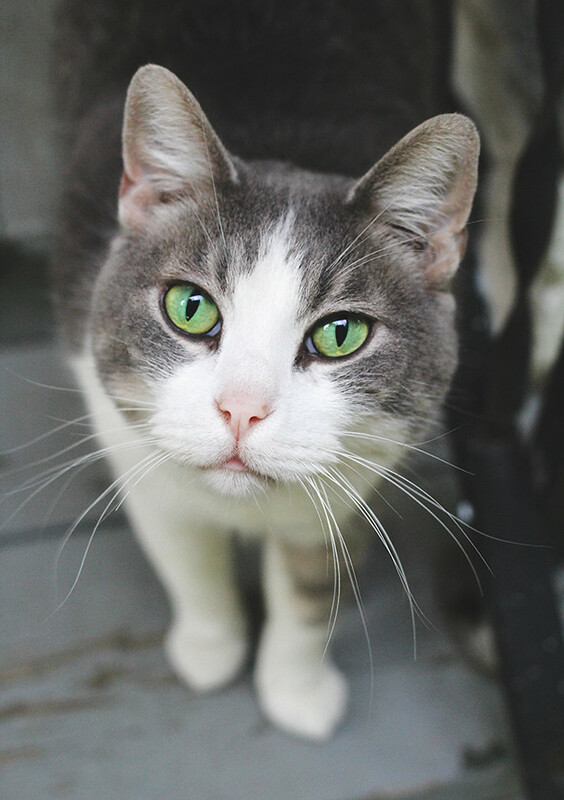 Love those cats eyes! And your daughters are going up so fast. Google looks like my cat!!! Aww, what a cute kitty! You have a beautiful family, I hope you guys are back to normal soon! Google is a handsome kitty. The sleeves on that mint dress are to die for. I hope you all feel better soon! I'm in love with that mint dress! That mint dress... swoon! Get well soon! 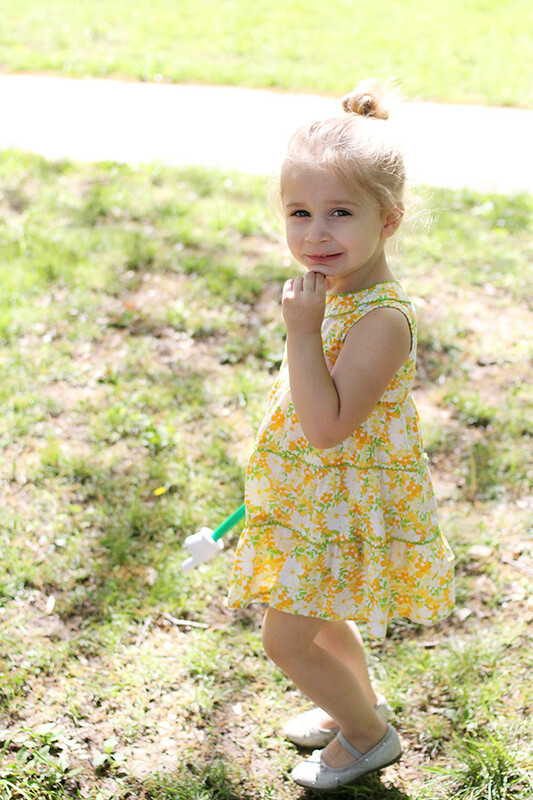 poesy is so cute in that yellow dress! i love that 23 skidoo dress too. what a sweet kitty -- and what a great name! Awwww! I think the name fits kitty perfectly! That cat's face is SO CUTE! In love!! That mint dress is absolutely GORGEOUS. You look wonderful in it! The girls did an awesome job of naming your sweet new kitty. Kids come up with the best names, for real. Awwww that precious baby!!! Google is such a fun name!! And those eyes! Gosh i though my Yoda had the biggest green eyes but these...wow!! I love the cake toppers!!! Oh my gosh, so cute!!! what a pretty cat!! and poesy's little dress is so cute! Ohh! Congrats on your new kitty addition, he looks so sweet!